Overseas Freight will put into operation five Kenworth T680 tractors with Cummins national gas engines using renewable natural gas from Clean Energy. The vehicles will operate in the Ports of Los Angeles and Long Beach. 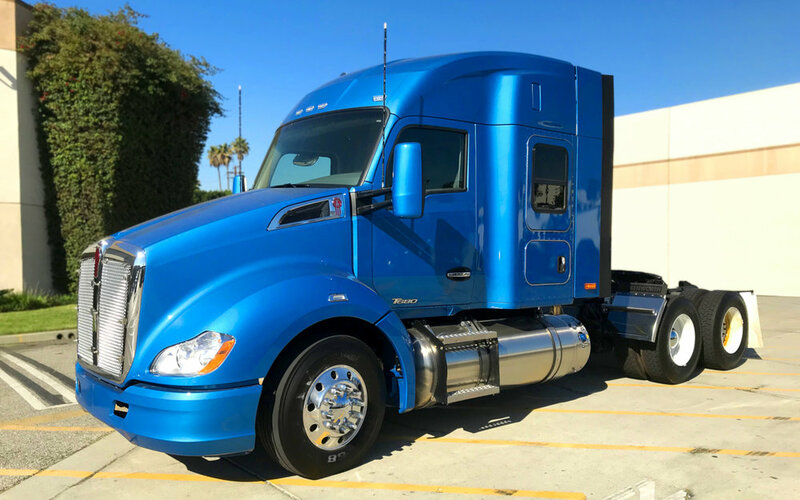 Overseas Freight has tapped into Prop 1B funding to secure five Kenworth T680 trucks with near-zero emissions Cummins (NYSE: CMI) ISX 12N natural gas engines for use in the ports of Long Beach and Los Angeles. The company is further taking advantage of a special $1 a gallon deal for natural gas through a Clean Energy Fuels (NASDAQ: CLNE) program. Clean Energy’s Redeem program allows a company to secure renewable natural gas (RNG) for just $1 a gallon for one year, providing fixed pricing as fleets build their natural gas operations. Clean Energy says that RNG cuts greenhouse gas emissions by at least 70 percent versus diesel. “America Lung Association State of the Air Report cited Los Angeles and Long Beach with having the worst air quality in the state. Overseas Freight is taking a positive step forward in reducing air pollution in the region by deploying the cleanest truck technology that can be easily and economically adopted,” said Greg Roche, vice president, Clean Energy. The $1 billion Proposition 1B: Goods Movement Emission Reduction Program is a partnership between the California Air Resources Board (CARB) and local agencies designed to quickly reduce air pollution emissions and health risk from freight movement along California’s trade corridors. In Oklahoma, bridge projects must be started before mating and nesting season for barn and cliff swallows, both protected birds. Because the federal government shutdown is delaying funding for projects, several have been delayed, and if they can’t start soon, the birds’ arrival will result in further delays.